You can make a number of different color choices with your kitchen. One color that happens to be quite popular at the moment is red. It adds a little bit of spice to your kitchen space, while also ensuring that surfaces don’t appear as dirty as they sometimes might get. What’s more is that the color red is able to really pop, creating a unique aesthetic for your kitchen that contrasts nicely from the rest of your home. Have you been thinking about giving your kitchen a new coat of paint? Perhaps you’re looking into some new cabinetry? Then, you should do yourself a favor, and give yourself some time to consider a red kitchen. 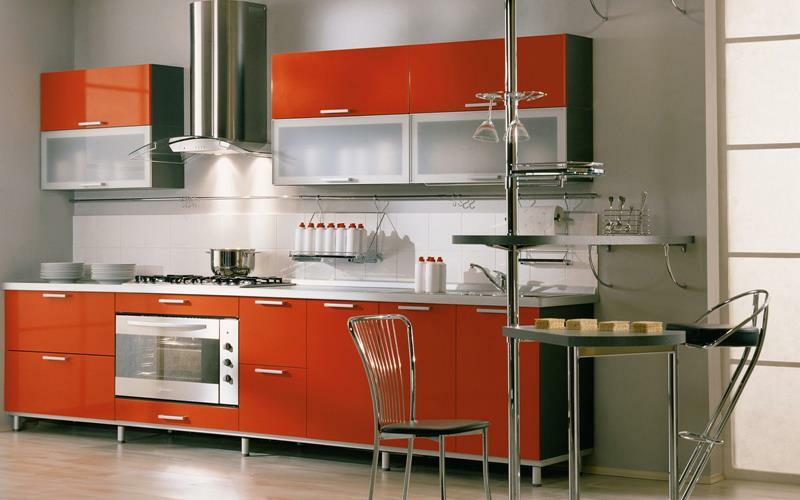 As you’ll see in the pictures that follow, red can be the most attractive color for your kitchen, especially if you’re looking for a contemporary look. Of course, red can work just as well for rustic and country kitchens. So, what are you waiting for? 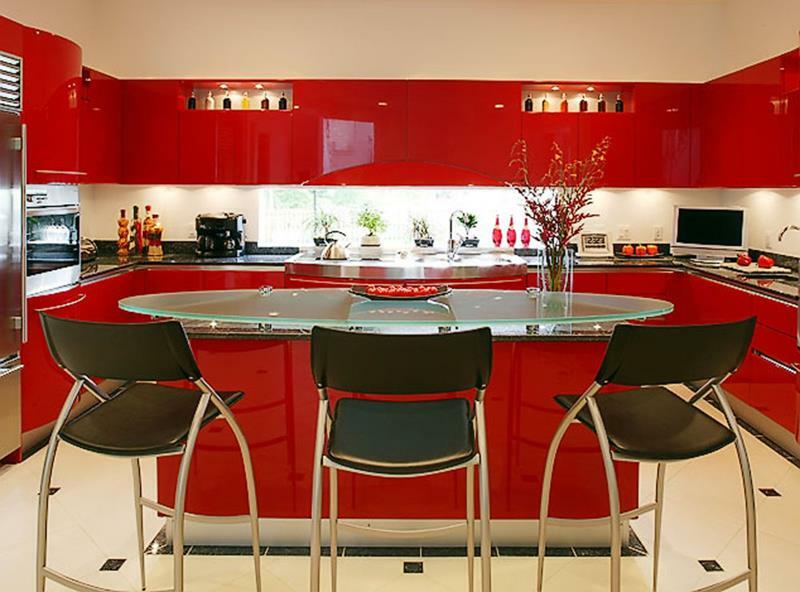 Let’s take a look at 27 totally awesome red kitchen designs! We’re sure you’ll find something that appeals to you, and maybe you’ll get a great idea for how you can renovate the kitchen in your home! 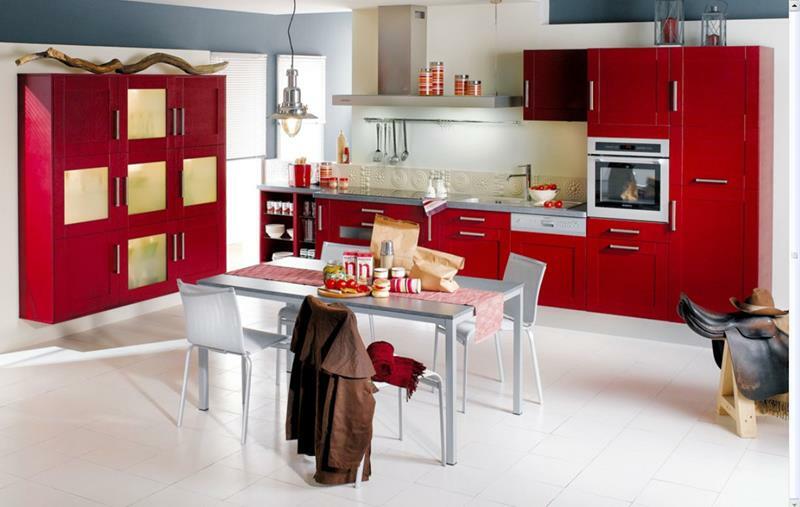 This red kitchen is a perfect example of how this color can add some pop to an otherwise drab white living space. 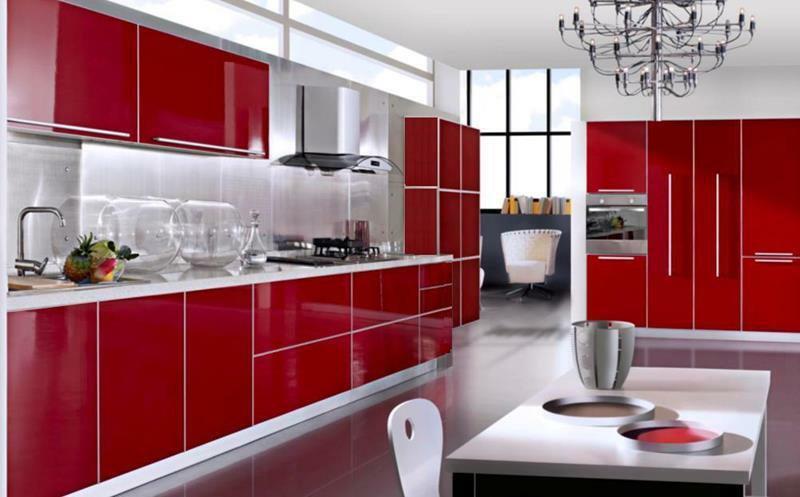 As mentioned earlier, red is often the color of choice for those who are looking to create a contemporary kitchen aesthetic. Against the red cabinetry in this stunning kitchen, the oval glass countertop on the island really stands out! 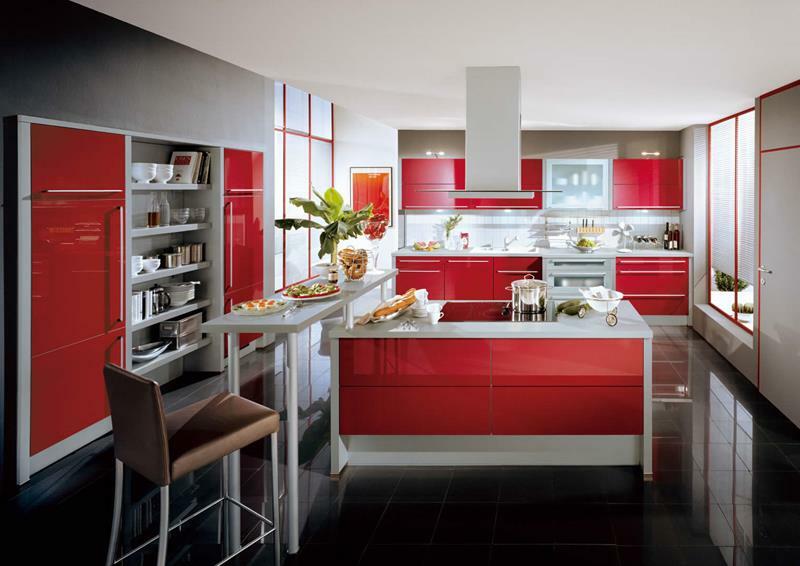 The red colors of this stunning kitchen really help to complete its signature (and updated) Italian style.